This coats the upper lip and chin of the current Jeopardy! host. What is skin? No. What is a mustache? You wish. What is a beard? That's the one. 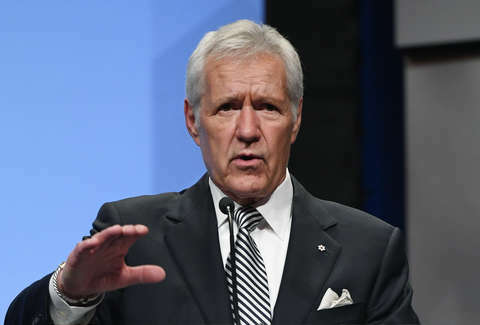 On Monday's season 35 debut of Jeopardy!, host Alex Trebek said he has heard fans clamoring for the return of his once signature mustache. He decided to oblige, "but as you can see," he said, "things got a little out of hand. These hairs kept attracting friends." The host now sports a nice beard that would have him looking quite at home on stage with Bon Iver. "Hopefully it won’t be a distraction for our players," the 78-year-old host added. People have not been shy about sharing their opinions on the beard, even when the responses get a little sexual. Me: Ooh, Have you seen Alex Trebek has a beard this season? Hubs: Isn’t he like 90? Me: Umm, no. Maybe like 70 but the beard makes him look 50! Still hot, shut up. Alex Trebek just grew a beard and I HATE CHANGE. Can’t some things just be constants? So, what will it be? How long will the beard last?